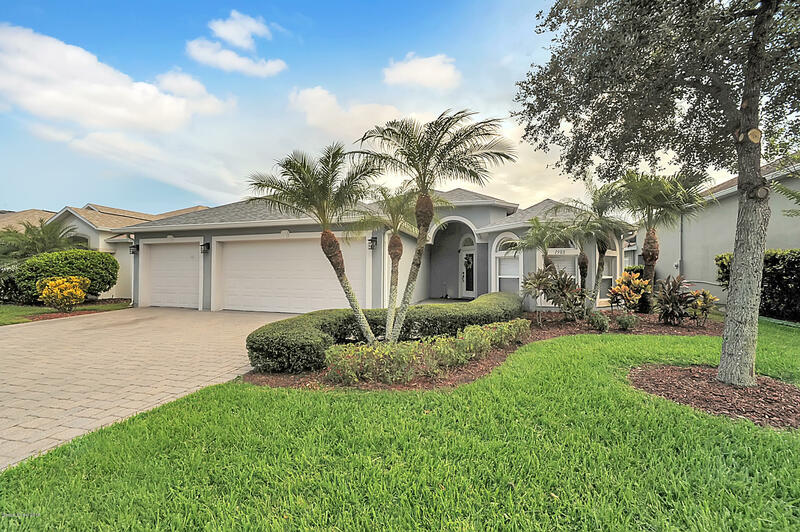 Beautiful waterfront 4 bedroom, 3 bathroom pool home in Wingate Estates. This home features an open floor plan that has been updated throughout with tile, architectural ceilings and upgraded light fixtures. The kitchen boasts granite counters, wood cabinets, walk-in pantry and breakfast bar. Split floor plan with a large master suite that includes his and hers closets, double vanities, jetted tub and a private escape to the pool. This home is move-in ready with a NEW ROOF, dishwasher and microwave installed in 2018. A new A/C unit was installed in 2016. MOTIVATED SELLER! !